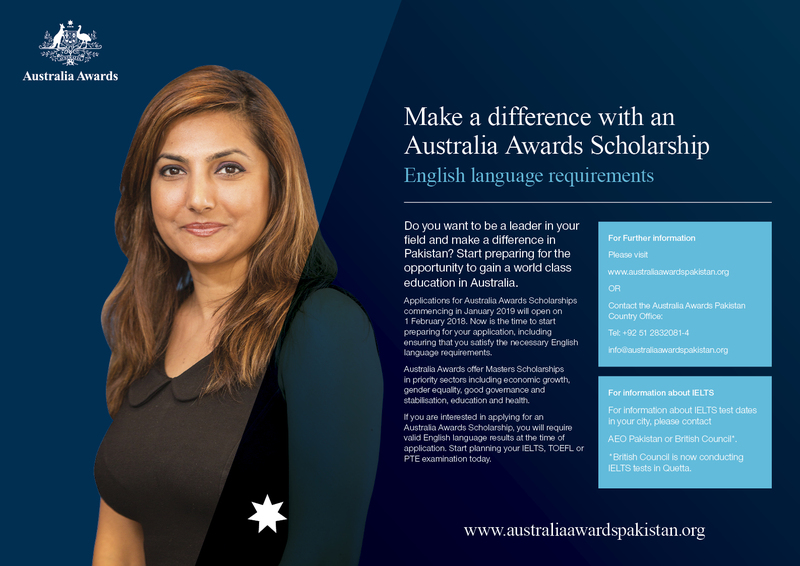 Applications for Australia Awards Scholarships commencing in January 2019 will open on 1 February 2018 and close 30 April 2018. Information regarding eligibility and the application process will soon be available on this webpage. ix. Applicants must inform the Program Area of any connection or relationship to staff employed at Program Areas or with managing contractors so that the application may be properly and transparently managed. ii. applicants residing in the immediate region to which they would be willing to grant an award (e.g. Pacific Island countries considering applicants from other eligible Pacific Island countries), noting that the award will be reported as belonging to the applicant’s country of citizenship. 1.3.1. 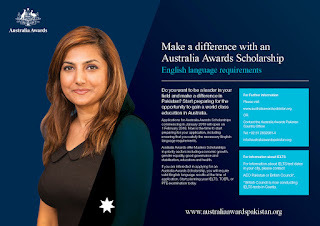 An applicant or awardee will meet DFAT’s English language requirements for receiving an Australia Awards Scholarship if their first language is English and if they have undertaken their education in English (evidenced by their academic transcripts). 1.3.2. Note that some institutions may still require evidence of English language proficiency, and Program Areas relying on the above may need to check whether Australian institutions accept applicants from particular regions or with particular qualifications from English language institutions. 1.3.3. Awardees’ English language test results must be valid at 1 January of the year in which the awardee is commencing studies in Australia (IELTS,TOEFL scores, and PTE Academic are valid for two years after the test date). If an institution requires a different test validity timeframe, awardees must meet the institution’s requirements. iv. PTE Academic overall score of 58 with no communicative skill score less than 50. 1.3.5. Where an institution’s academic English language requirement is higher than DFAT’s requirement for the main course of study, the awardee must meet the institution’s requirement. ii. scores that are more than half a point lower on the IELTS(or the equivalent TOEFL or PTE Academic) than the relevant institution’s English language entry requirement for awardees undertaking pre-course English in Australia. 1.3.7. Country programs may elect to provide English training to awardees in their home country or the immediate region. The following policy relates to pre-course English training in Australia. iv. within 7 points of PTE Academic. 1.3.9. Pre-course English training in Australia is for a maximum of six months. Exceptions to this six-month maximum must be agreed with the Australia Awards Delivery Section. Program Areasmay elect to provide pre-course English language training in country, prior to mobilisation. ii. It is up to Program Areas to determine on what basis they provide in-country English language training, and whether training is provided prior to or after a provisional offer of an award. 1.3.11. Program Areas will determine when applicants or awardees need to provide evidence of their English language abilities and advise applicants accordingly. Program Areas must provide the evidence in OASIS when requesting a placement for the applicant at an institution. Before making a placement offer, institutions should give careful consideration to the English language training that an awardee may require. The institution may offer an in‑Australia Pre-Course English program only if the awardee is within half an IELTS point or the equivalent TOEFL score or PTE Academicscore of the institution’s minimum English language requirements. 1.3.13. An institution must not accept an awardee if they are unlikely to reach the standard of English required for the main course of studies within the six months of PCE training.